i am stuck after when you see that the hotel guy ate your burger. plz help? 1. 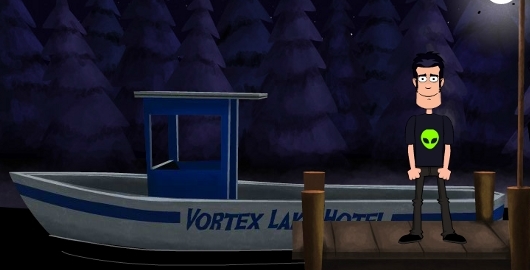 After the ” blahblahblah ” with your team go immediately to Vortex Hotel. 7. Go to Room 2. Use the remote on the TV and you will get the vortex burger hotline number. 10. Dial the burger hotline # on the Payphone booth. 11. go back to your office and click the girl( your office mate )so that she will give you a 4$. 12. head back to hotel-souvenir shop and give your 4$ to the guy. in return he will give you a lighter and you can use the toilet now. 13. throw the tissue to the toilet. 14. GO out and inform the guy that the toilet has been clogged. click the picture and you will find another vault. key in the number appeared on the mirror and you’ll have your key. remember the picture behind the old man. you will use that later. tsadan.. you will find Tom. I don’t get the A=? thing on the paper can you help? Posted on Wednesday, October 9th, 2013. Follow any responses through the RSS 2.0 feed.